One thing stood out as the most important thing you can do financially each year. It does not matter if you make $35,000 a year or $350,000 a year. If you can achieve this goal, you can change your financial picture. You can be broke and spend more than you earn no matter how much you make. Additionally, your budget will help you decide what your financial issues are. 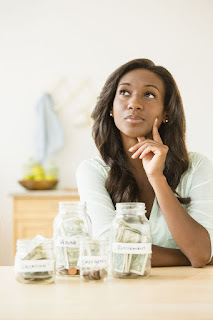 You may not make enough money, and you will need to find a way to make more money either by finding a better paying job or working part-time until you clear up your debt. You may realize that you make enough money, but you are spending too much. You may realize that you would rather sacrifice in some areas so that you have more money to put towards the things you love to do. A budget lets you see when and where you spend your money, so you can decide how you want to do it. You may know the benefits of budgeting, but a budget is a difficult thing to execute. It might be even more tricky if you are married and your spouse doesn’t want to budget. It may sound harsh, but the truth is either you want to change your financial picture or you don’t. If you want to change badly enough, then you will find the willpower to follow your budget. You will set up an emergency fund to cover the unexpected expenses that will come up during the year and you will begin to make the changes in your finances that will benefit you in the future.